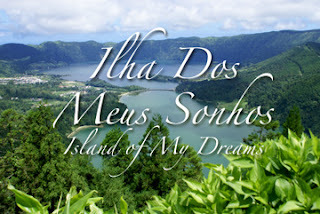 Ilha dos Meus Sonhos (Island of My Dreams) puts faces to the stories of common people with uncommon courage to leave their impoverished island homeland of the Azores, determined to create a better life in America for themselves and their children. Azores is the name of the Portuguese archipelago of nine islands in the Atlantic Ocean, about 2,400 miles off the east coast of the United States. Ricardo Rebelo, a Rhode Island filmmaker and instructor of TV and film at Bristol Community College, and himself an Azorean emigrant, captures these untold stories of Portuguese immigration to the Fall River area, particularly the two waves of emigration from the Azores in the 1950s and '70s. The film also explores how the immigrants have maintained their Portuguese culture and traditions here in America, while the modern culture in the Azores has actually changed dramatically since the revolution. Ilha dos Meus Sonhos (Island of My Dreams) presents the experiences in a personal way – from what life was like on the islands, to what motivated so many Portuguese to abandon their birthplace to immigrate to America. Rebelo also interviews family members who chose not to leave, but who stayed on the islands. The narrated documentary includes interviews with immigrants in their native Portuguese language (with English subtitles), interspersed with vintage family photos and rich scenic footage of stunning natural beauty of the Azores. The Ilha dos Meus Sonhos (Island of My Dreams) documentary film makes its public television premiere exclusively on WSBE Rhode Island PBS on Saturday, May 21 at 7 p.m. (rebroadcast on Sunday, May 22 at 11 p.m.) as part of the ongoing WSBE series Rhode Island Stories. WSBE Rhode Island PBS transmits over the air on digital 36.1; on Cox 708HD / 08, Verizon 508HD / 08, Full Channel 08, Comcast 819HD / 09, 19, 20, or 11, depending on location (check local Comcast listings for standard definition channels); on DirecTV 36 and Dish Network 7776. WSBE Learn transmits on digital 36.2; on Cox 808, Verizon 478, Full Channel 109, Comcast 294 or 312. WSBE Rhode Island PBS is operated by the Rhode Island Public Telecommunications Authority, a public corporation established by Rhode Island General Laws 16-61-2. WSBE is a viewer-supported member of the PBS network of public broadcasting stations, and transmits on two channels: WSBE Rhode Island PBS and WSBE Learn. Committed to lifelong learning for more than 43 years, WSBE uses the power of commercial-free media to educate, engage, enrich, inspire, and entertain viewers of all ages in Rhode Island, southeastern Massachusetts, and eastern Connecticut. For more information about the programs and education services at WSBE, visit www.ripbs.org. Televised 2011 Spring Auction begins TONIGHT!